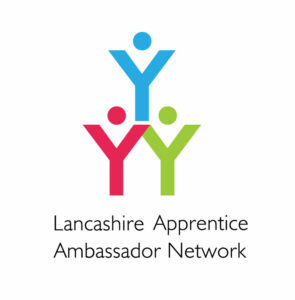 The Lancashire Apprenticeship Ambassador Network comprises of both Employer and Apprentice Ambassadors. The Lancashire Apprentice Ambassador Network is part of a county-wide drive to increase training and employment opportunities for young people and improve skills. Apprenticeship Ambassadors are all either current apprentices or former apprentices who want to highlight the benefits of taking part in the Apprenticeship programme to employers and other young people. They will speak about their experiences at schools, youth clubs and careers fairs and meet employers face to face to encourage them to take on Apprentices. The Employer Ambassadors were either ambassadors themselves or have recruited ambassadors and are passionate about the Apprenticeship route.